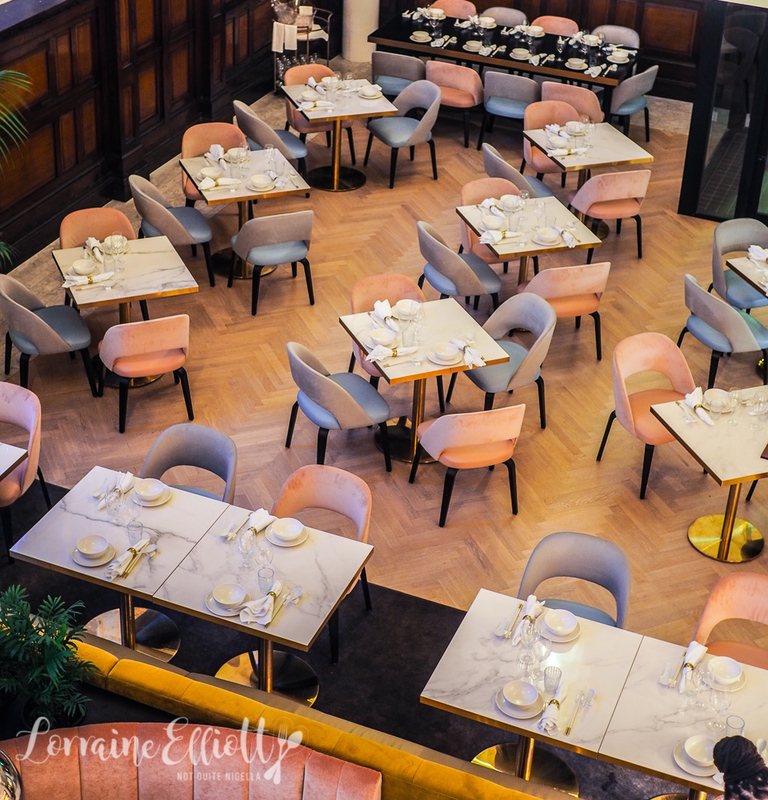 A Seinfeld episode was the inspiration for the name of the new Brisbane Chinese restaurant Donna Chang. But this isn't American Chinese or Cantonese Chinese. 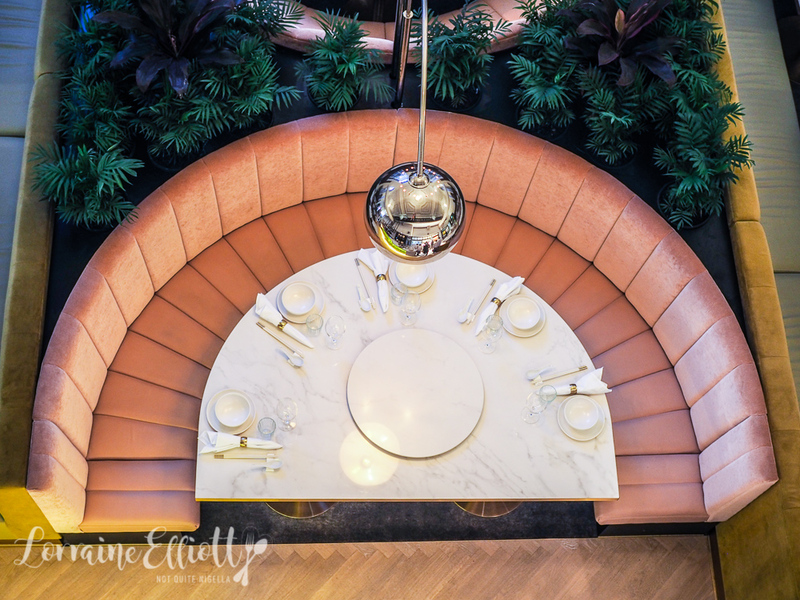 The menu features a range of Chinese dishes with Native Australian ingredients as well as a photogenic heritage listed interior with sweeping half moon booths in pastel pinks and blues. Linda and I arrive at Donna Chang a little before they officially open. You see I wanted to make sure that I got pics of those booths before they filled up with people and by coincidence she was wearing a pastel blue dress and I a pastel pink so we matched the booths. The large 120 capacity restaurant has been very popular with patrons and fills up quickly every night. 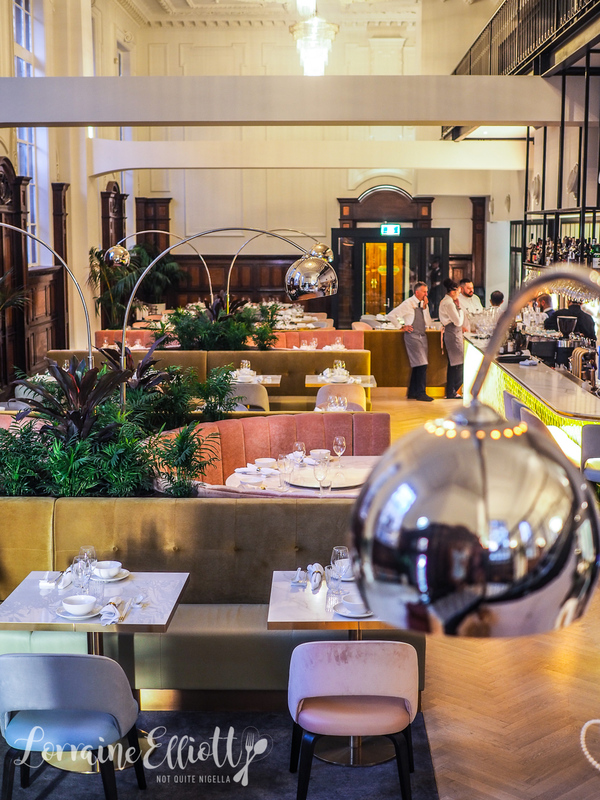 The Executive Chef at Donna Chang is Jake Nicolson and he says of using Native Australian cuisine, "I found the robust, intense flavours of native Australian produce lends itself perfectly to the that of the Chinese cuisine and the techniques used." We take a seat at a table and I almost wish we had a big enough crowd to fill a half moon pink velvet booth. I've already stalked the menu so I know what I want. And they are items that focus on native Australian ingredients. We start with something to get the appetite going (admittedly not really a problem for me ever). 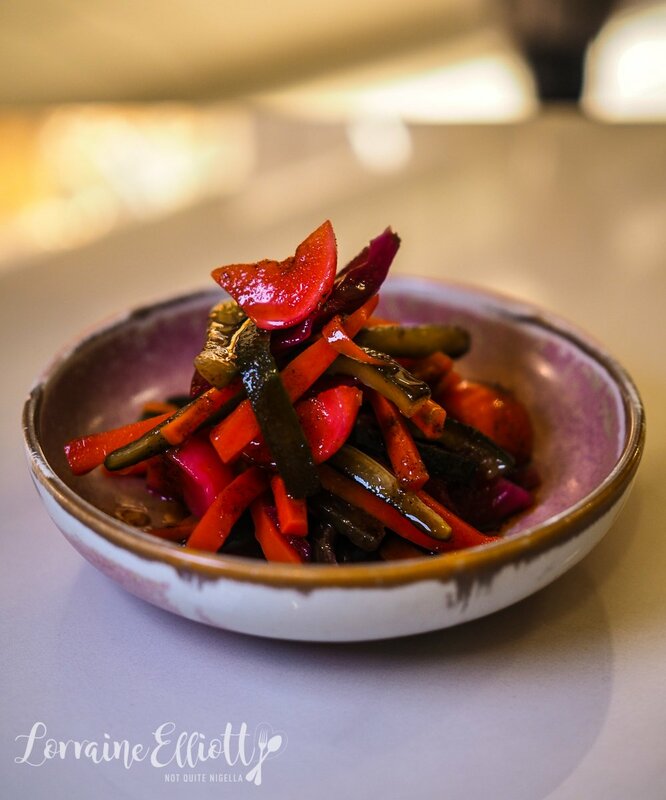 The Sichuan pickles are spicy hot and thankfully not restrained with a gutsy chilli flavour to the shredded carrot and cucumber pickles. The Scampi toast come as four delicate, slim fingers of scampi meat on toast, deep fried and crisp. They are topped with seaweed mayonnaise and scampi caviar and are utterly delicious. I'm already having sartorial regret at wearing such a tight dress. Then we try a selection of their dim sum that are designed for popping in the mouth in one bite. 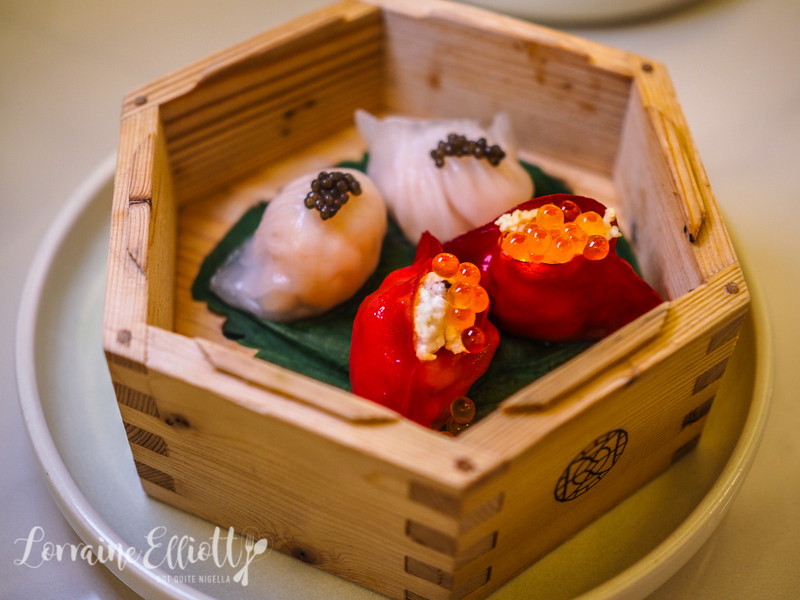 The prawn and scallop wontons come encased in a bright red rice flour wrapper and are topped with coriander, aged vinegar and chilli and are delightful. 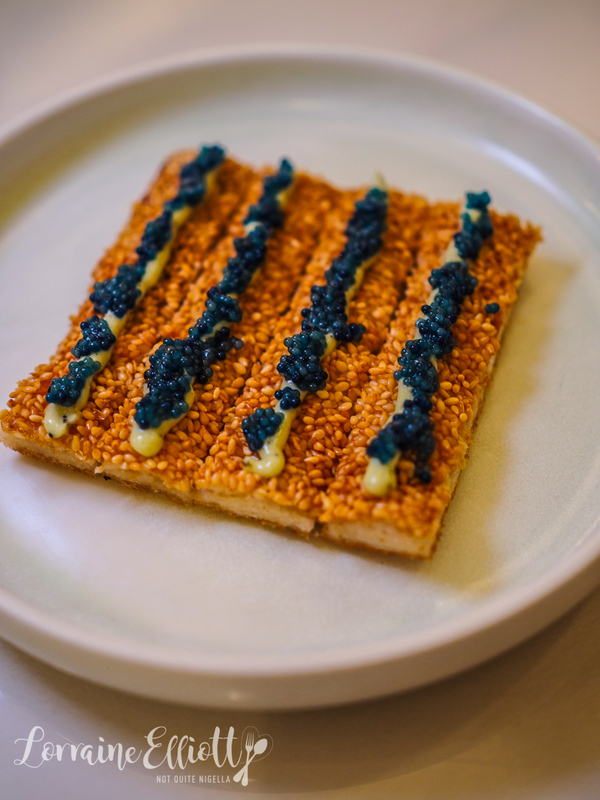 They are made using Fraser Isle Spanner crab sourced locally from Mooloolaba and Salmon Caviar from the Yarra Valley. Equally as good but with a pronounced salty pop at the end are the har gow topped with Oscietra caviar. It was actually a little difficult trying to decide which mains to order because there was so much I wanted to try. But I was really interested in their take on whole fish, usually a steamed whole fish in Chinese restaurants. 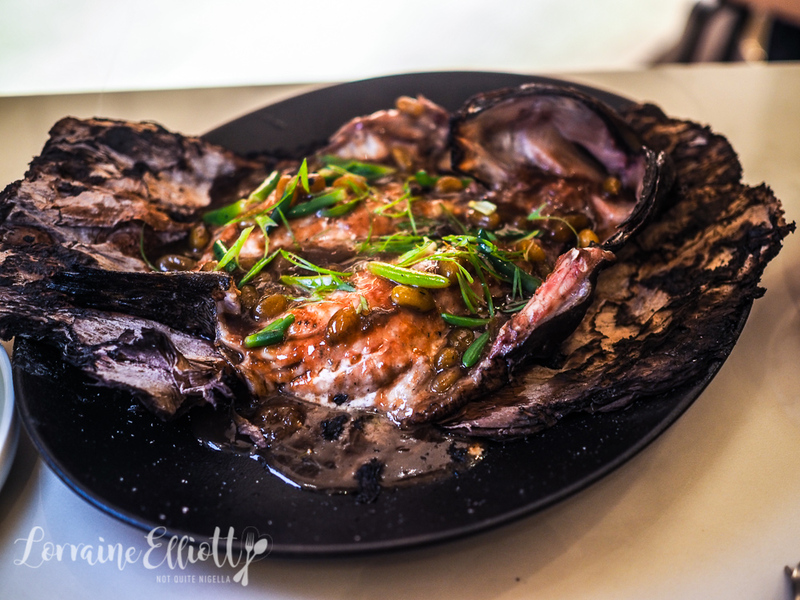 This version takes a whole Queensland grouper fish which is a farmed fish from the Rocky Point Aqua Culture facility and infuses it with smoky Lapsang Souchong tea and small teardrop shaped desert limes and wraps it up in paperbark to cook. It arrives at the table with the scent of burning paperbark and a corner of the bark alight. The fish is perfectly cooked and the sauce permeates through all of the flesh of the fish. For those that find fish bland this is the dish for you as it packs so much flavour and the native desert lime goes perfectly with the fish. It was a close toss up between the chicken and the roast duck with Davidson plum but I was intrigued by their take on "lemon chicken". This twice cooked black silky chicken is like lemon chicken's extravagant and infinitely more interesting cousin. The black skinned chicken is served bone-in and chopped up and it is flavoured with lemon aspen and sweet and sour Davidson plums. Often this native fruit can be difficult to work with as it so tart and strongly flavoured but it suits this dish perfectly. 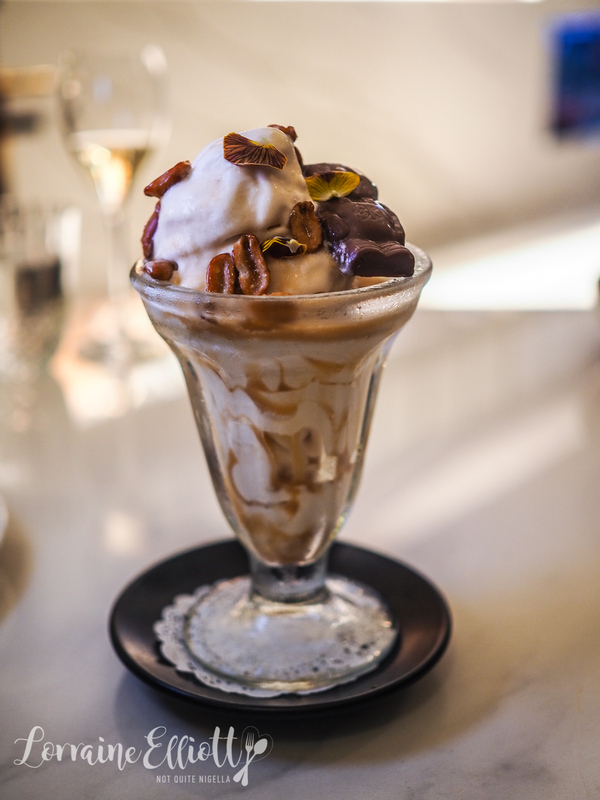 Jake explains, "The ‘Black Namoi” is a modern-day spin on the traditional rare breed, Asian coveted ‘Silkie’. Unlike traditional Silkie chickens, which are lean and gamey, the Black Namoi is a result of new bloodlines and crossbreeding, culminating in a small, tender table bird with startling black skin and bones, a good layer of fat, a greater proportion of moist meat, and deeper, richer, less gamey flavour than it’s lean, textural cousin. The increased fat content allows the Black Namoi to be used for roasting, baking, and grilling. 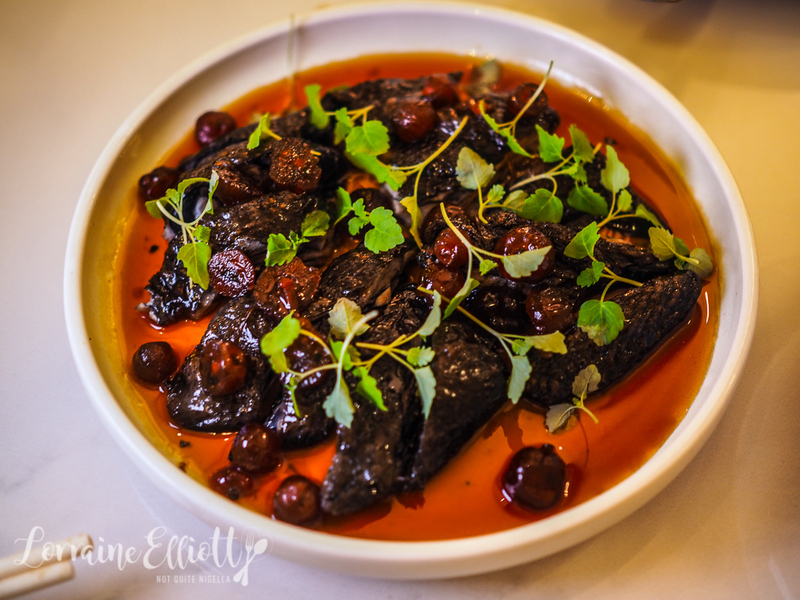 The Black Namoi is designed to get Silkies out of the pot and onto the grill." 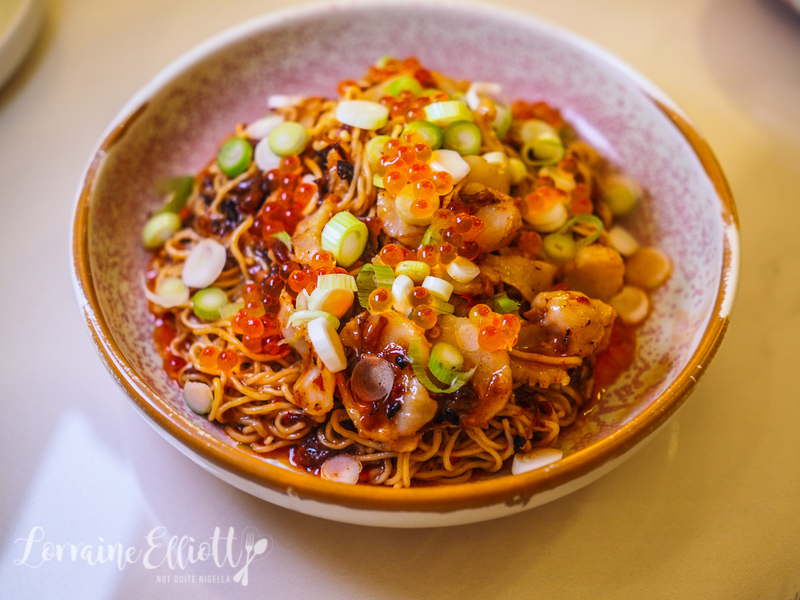 I can't go past wok fried noodles especially when they're paired with XO sauce. They're not stingy with the XO sauce and it's a good, full bodied one with plenty of flavour and I keep going back for more and more of these noodles. The pearl meat is also very generously portioned and its a tender clam meat with a little bit of meaty texture to it. It's time for dessert and we are tempted by quite a few of them. 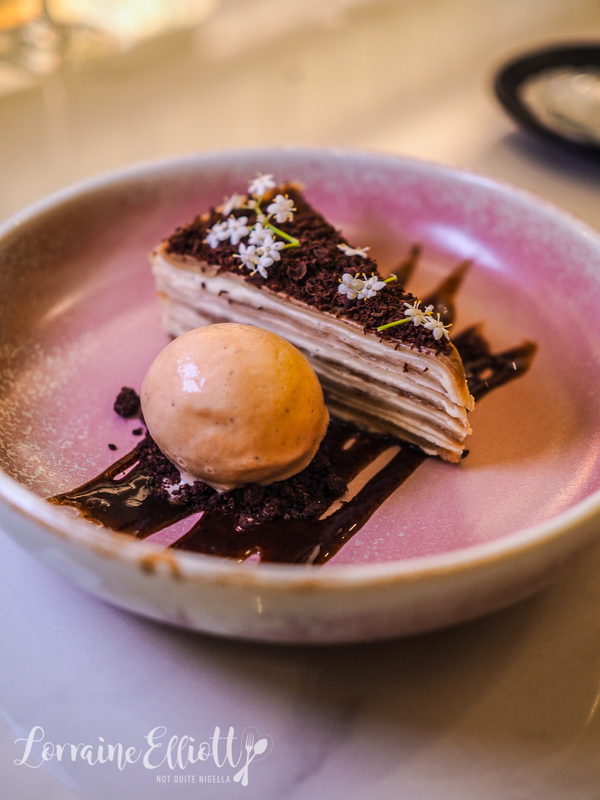 The Hong Kong style milk tea and wattleseed crepe cake is an interesting idea but doesn't quite fulfil the promise as the crepes are quite dry and crepe cakes are best when the filling softens the crepes. 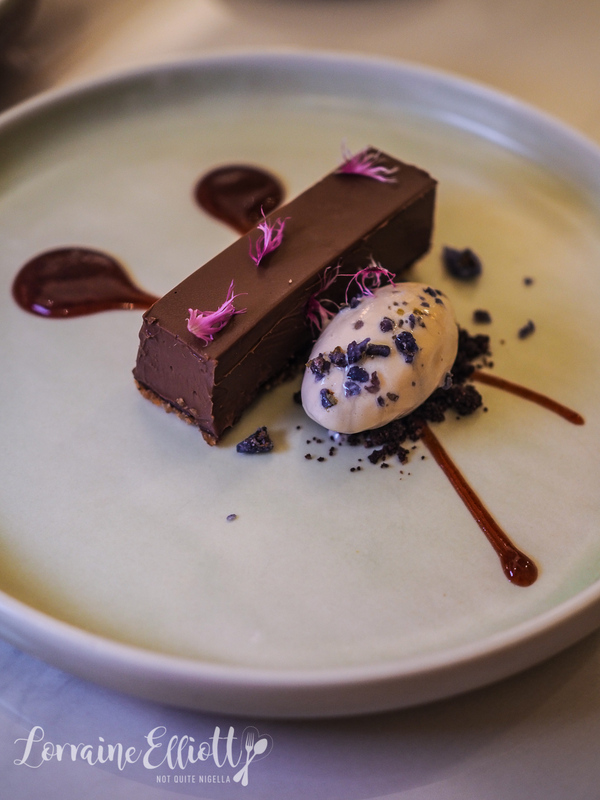 But we both really enjoy the chocolate tart, a slender slice of Daintree Forest chocolate tart with swirls of Davidson plum jam and White Rabbit candy ice cream. If you're a Chinese kid, White Rabbit candy is one of those classic childhood treats (for me it was a reward for being quiet during Sunday school ;)) and it is a soft, milky chewy lolly in the same vein as sweetened condensed milk. And because Linda liked the sound of the soft serves we decided to try all three of them and they arrive in a sundae glass. The three flavours are peanut butter, seaweed caramel and Caramello koala. They're all true to flavour and quite sweet and I'm particularly partial to the seaweed caramel with its true but perfectly balanced flavour. I open up my fortune cookie, squint, frown and then burst into laughter. 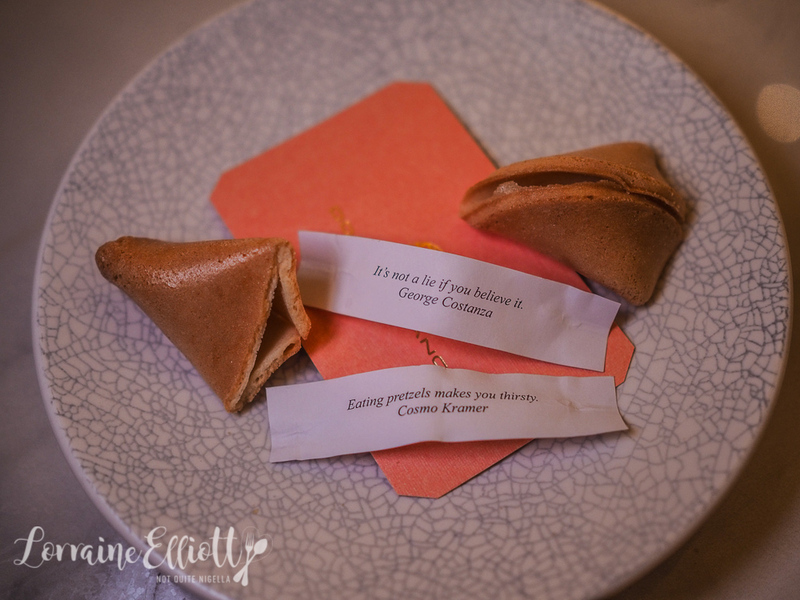 I had almost forget the Seinfeld connection until my fortune cookie gave me a quote from my favourite character George Costanza, "It's not a lie if you believe it." Linda's fortune reads, "Eating pretzels makes you thirsty." So tell me Dear Reader, who was your favourite Seinfeld character and do you remember this episode? And what do you think of the native Australian bent here? 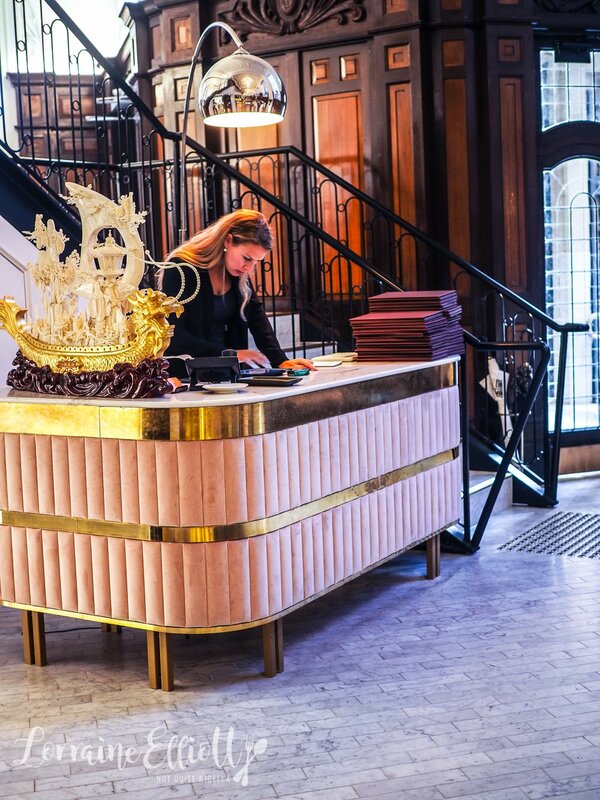 Have you been to Donna Chang? NQN and Linda were guests of Donna Chang but all opinions remain her own.